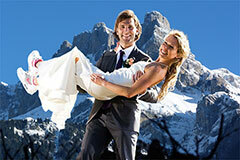 You would like to have a original and fun destination wedding? Why don’t you design an event that truly looks like you in Europe ? The Old continent keeps many secret and amazing destinations in store for your big day! Watch the testimonials of our happy couples ! Celebrate your love under the Eiffel Tower with your family and friends ! You want this day to be remembered and we will make anything to help you there. But there are a few rules to have a classy and memorable ceremony. First, of course, the bride and groom themselves, but this is your part ! Second, the location is a major card. Of course, during the ceremony you will have eyes only for your loved ones. But you also want the photos taken on that moment to reflect the uniqueness of this moment. Then what could be more romantic than the Eiffel Tower, this universal symbol of love ? The Tower is a busy place, but our experienced celebrant knows where to find away-from-the-crowd spots to hold the ceremony with the group of people you will want to bring. The Eiffel Tower has always been a most treasured celebration location for our wedders. If you want to see what a successful ceremony by the Eiffel Tower can look like, here is a video of an amazing newly wed couple’s testimony. We will be happy to celebrate your wedding in Paris with you at the Eiffel Tower ! Since you have already chosen to have an non traditional ceremony by going for a destination wedding, why don’t you push it a step further and have an outdoor celebration ? Notre-Dame cathedral is a great location for that. At the heart of the city, it still holds unknown places to host your ceremony with your family and/ or friends. The cathedral’s building was built 5 centuries ago, before some Western countries were even funded ! What better location to witness your wedding vows in Paris than an old and solid church ? There are a few location options around the church for the celebration itself. If you feel like waking up early, we could head to the gardens of the cathedral, at the rear of the building itself. It’s a lovely, quiet (in the morning or late afternoon !) place, a small garden « à la française ». The cathedral being set on an island, you could also choose to exchange your vows on the riverbanks. That’s another lovely setting for your celebration, as well as for the photos and videos you will want to have of that special day. Europe is full of romantic and original promises. But because you want your guests to walk away saying : “that was so them!”, here are a few ideas to help you choose what’s best-suited to you. 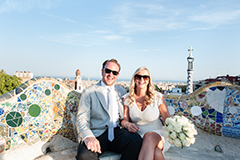 At Love Gracefully we have been hosting weddings in France, in Spain, Italy and Switzerland for over a decade now. Our top destination weddings in France include Paris, so classy and super romantic Paris. The Eiffel tour, Notre-Dame cathedral, the Luxembourg gardens amongst others. Wether you’re looking for old stones, quiet riverbanks or luxuriant parks, Paris has it all ! In France, another of our successful destination is the French Riviera, with places like Nice or Monaco Monte-Carlo. Those are glamorous spots, showered with a dazzling sun all year round. They offer great beach settings to soak up the Mediterranean vibes ! But you could also like to get an Andalusia energy in the graceful Seville, Spain, or head to Italy on the loving island of Venice. This is a day to remember, and so should its location! In order to help you navigate between all these options (and Europe does have a lot!) we have selected the most asked-for locations for you. So wether you are in the mood for beach, ancient cities and green parks, or mountain lakeshore, you’re bound to find what you are looking for! Would you wish some other places you have in mind though, we will be happy to discuss it with you and create a tailor-made package for you. With over 10 years experience in destination weddings, we have gathered an unparalleled expertise in creating tailor-made love celebrations. Our unique team of celebrants are seasoned professionals who have been working with us since the beginning of our “love journey”. 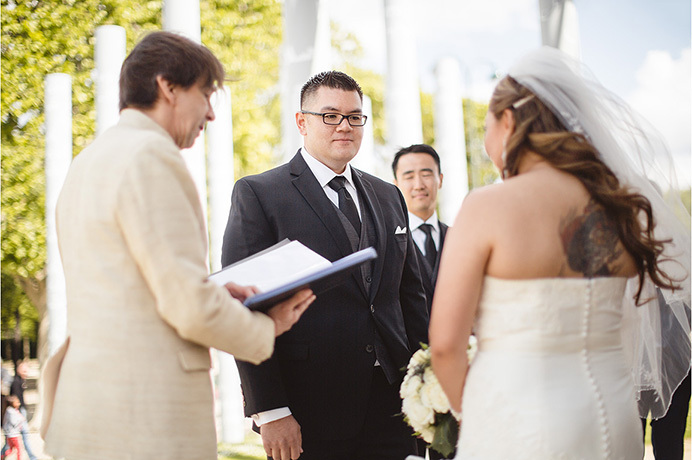 Caring and experienced, these officiants are committed to help you make this day the day you dreamed of : a flowing, stress-free and warm experience. Our main objective is to create customised ceremonies, and that’s why we will be in close touch with you from the beginning of this adventure. The writing of your vows will be something unique. At love Gracefully, unlike our competitors, we don’t work from templates. If you want to know more about how it went for other wedding couples, you can visit our testimonials page (and many more on our Love Gracefully Youtube channel). We have designed a unique, user-friendly system to help you select a package with us. Love Gracefully offers 5 different destination wedding packages, each including a different range of vendors services, starting off at 690 euros. The services linked to these packages will be provided by reliable vendors we have worked with for a long time. They are professionals and quality artists in the area of photography, video making, flowers … We look forward to celebrating with you!